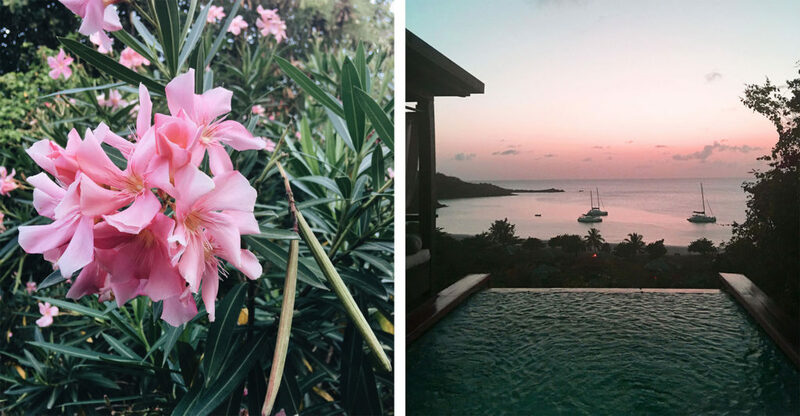 Looking back, one of the best decisions Justin and I made when booking our honeymoon was to split our time between two completely different resorts. 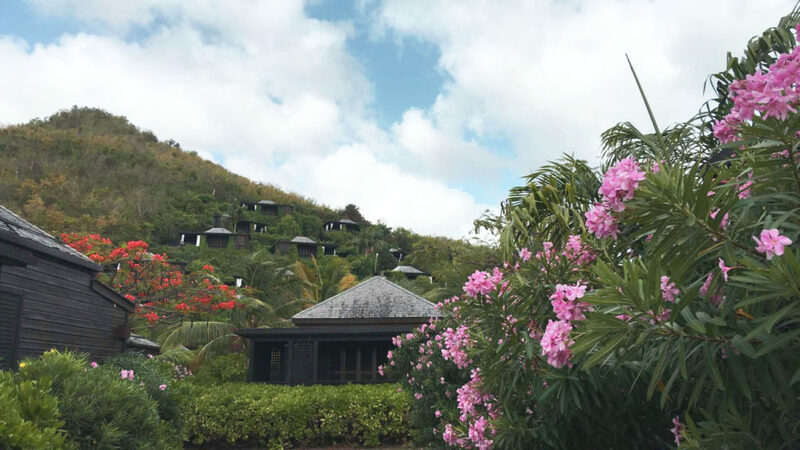 Unlike Jumby Bay, Hermitage Bay, was nestled on the beach and hillside of a beautiful bay, surrounded by lush gardens and undeveloped tropical landscapes. The overall experience was one that Justin and I will treasure for a lifetime. 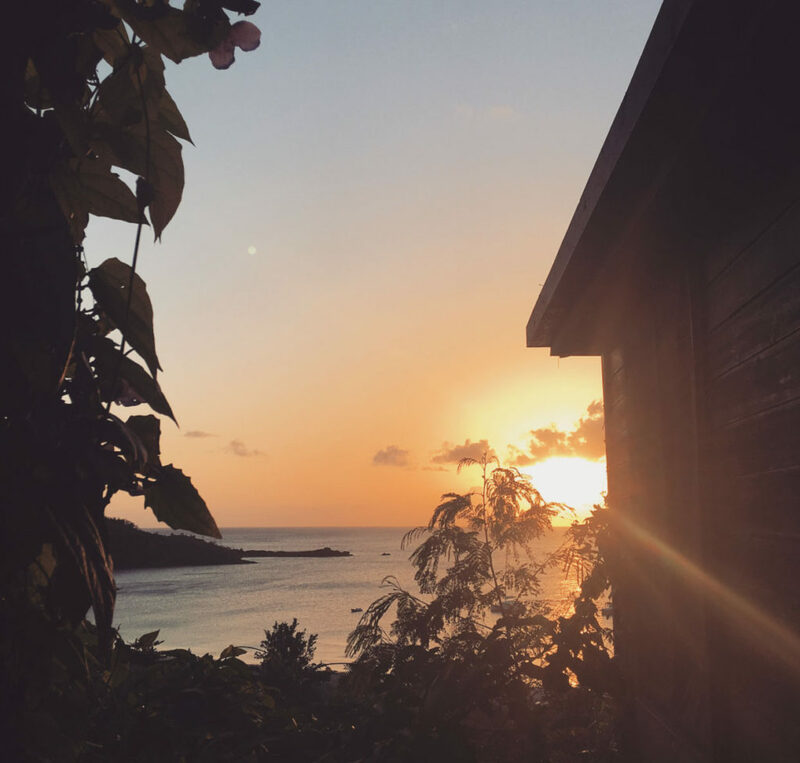 Coming from a property of prestige where we happened to share the beach with Penelope Cruz, Hermitage Bay came to be the Caribbean adventure we had hoped for. Upon arrival at the entrances guarded, twelve foot wooden gates, you can imagine the juxtaposition between the two properties and the sense of shock that began to come over us. 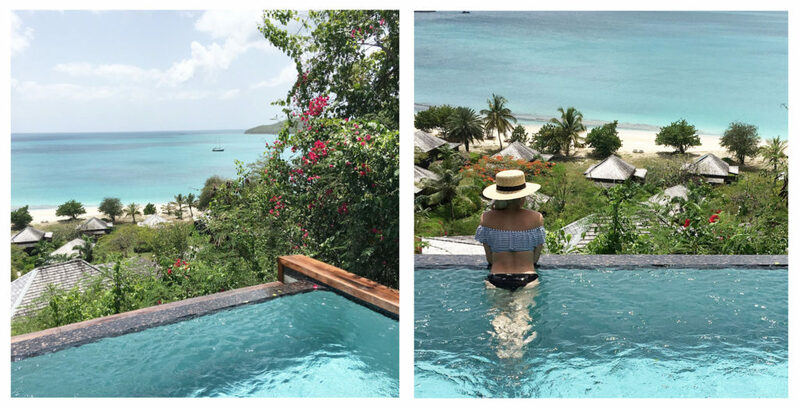 While Jumby Bay and Hermitage Bay had their distinct differences, there really was no comparison and we loved them for those different reason. Immediately after checking-in, we made the steep climb to our hillside suite. Located at the highest point on the property, it offered a wrap around balcony and private infinity pool that overlooked the entire bay. The view was absolutely incredible, and we spent our first evening there enjoying champagne and watching the sun set across the sailboats anchored in the bay. The staff would quickly become one of the most memorable parts of our experience. Each morning we looked forward to seeing Jodi, Zeke and Chanel on our way to breakfast. Speaking of which, Hermitage Bay offered the most AMAZING cuisines. The Executive Chef would create an entirely different menu for every meal throughout the day. I’m not ashamed to say we loved some of the courses so much that we put in for a second order (the perks of an all-inclusive property). All of the dishes offered unique pairings of poultry and produce that was grown in the property’s very own organic garden. Most of our days were spent in or around the bay. The beaches were left untouched and naturally pristine to the point where you could see different reefs feet away from the waters edge. 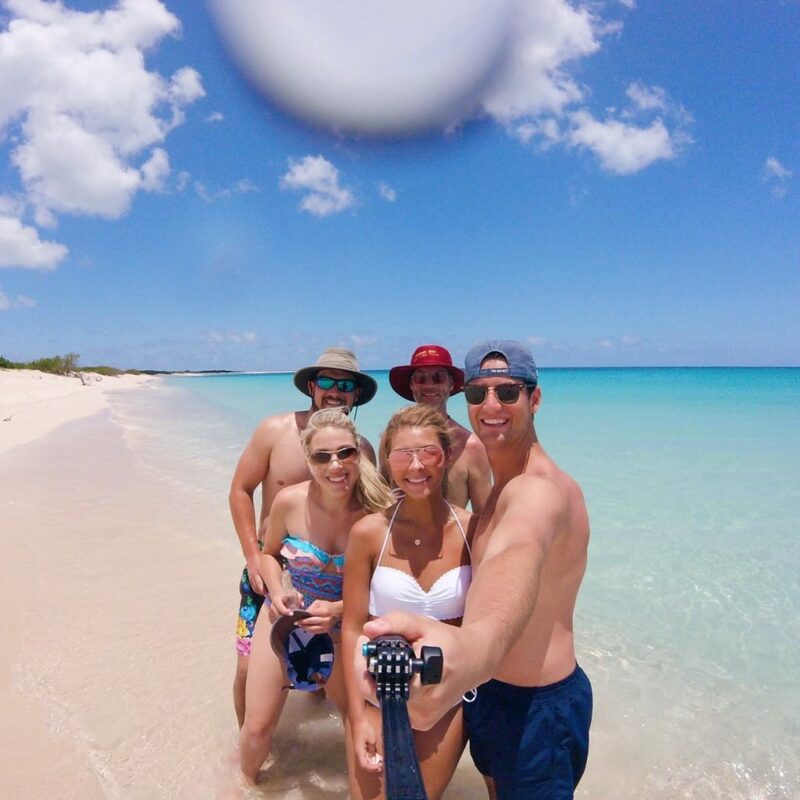 During our first full day on the property we saw a couple around our age who we thought we recognized from Jumby Bay. You can imagine how thrilled we were at the opportunity to meet someone with an experience so similar to ours. Needless to say, when we finally met we would quickly become friends. Allie was a buyer for Neiman Marcus and her husband Mike was into finance, sports and politics – a match made in heaven for Justin. 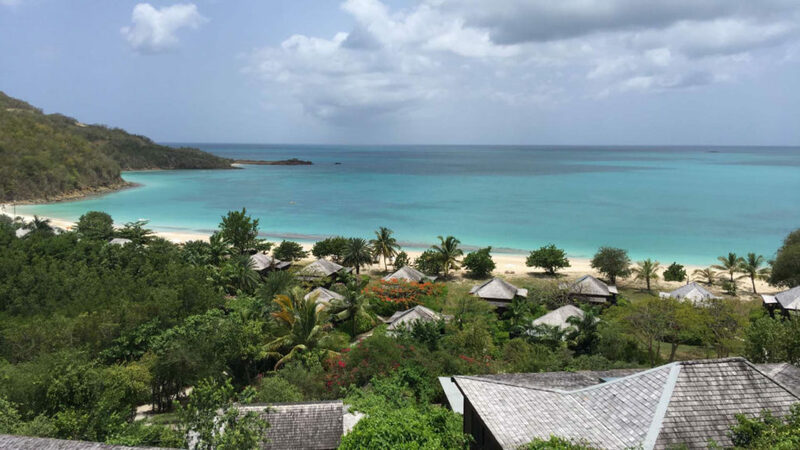 So, earlier in the week I had learned of Barbuda Island, the sister island to Antigua. Our waiter also informed us that the island’s sand has become pink over time from finely crushed shells that wash up on the shore, thus giving the beach it’s nick name, “Pink Beach.” When I heard this alarms went off in my head. It was Barbuda or bust! 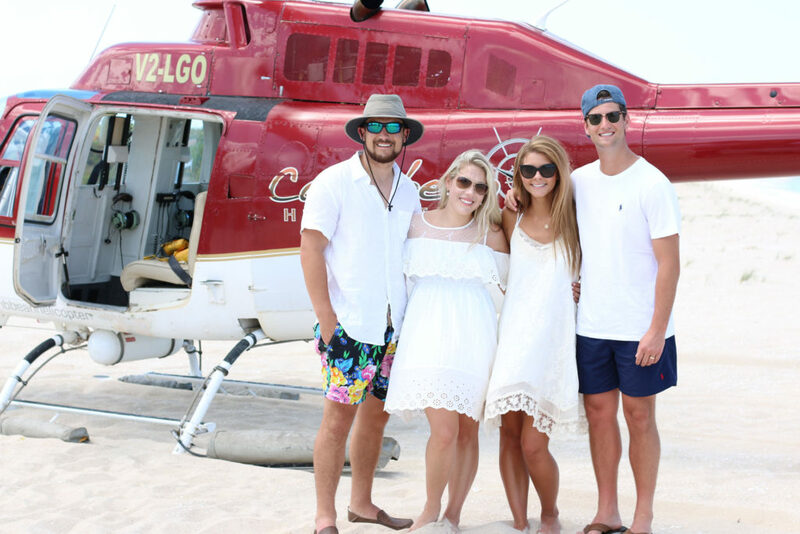 We worked with Jodi to arrange a private helicopter to the island, and it only seemed fitting that our new friends Allie and Mike accompany us on the little adventure! 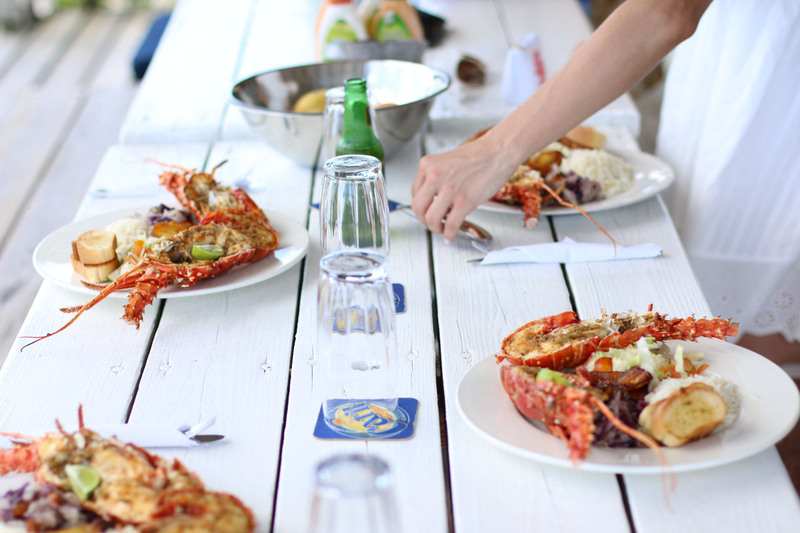 During our time there we took a boat over to “Bird Island” and enjoyed fresh lobster. 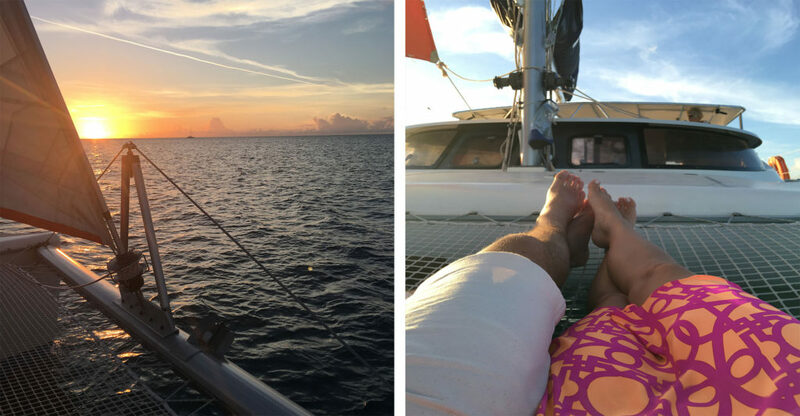 Our second night on the island we enjoyed a romantic evening aboard a catamaran where we sailed around Antigua and witnessed a sunset for the books. 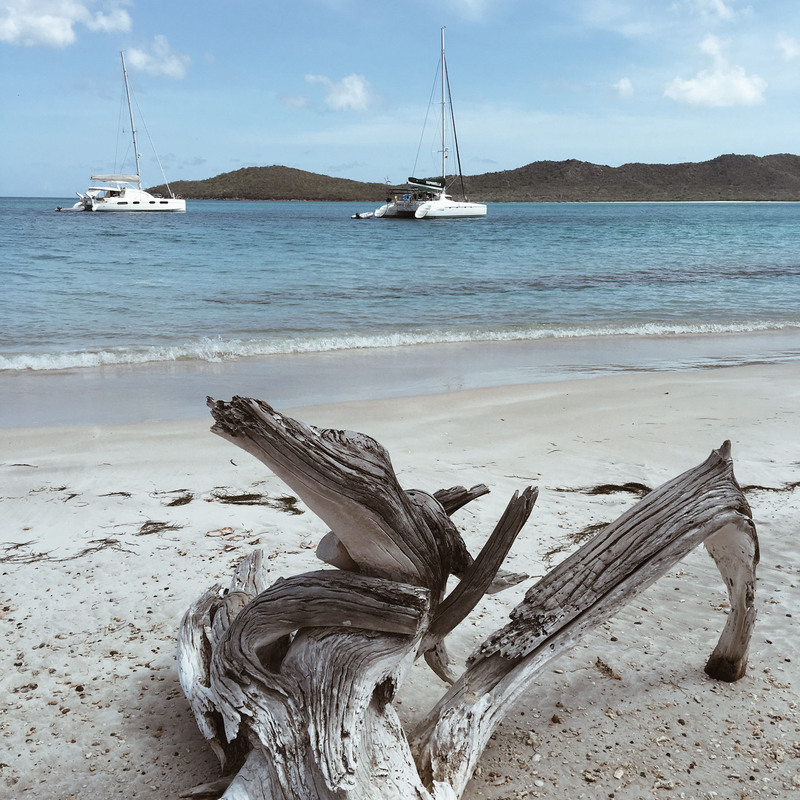 The owners of the catamaran were a British couple who made the experience truly unforgettable, and made us feel so welcome aboard their sailboat, “Cat Tales II.” If you travel to Antigua, I would highly recommend spending the afternoon with Jimmy and Barbra. I’ll be sharing the dress I wore tomorrow on www.StyleSouffle.com, so be sure and check back! Overall, our time in Antigua was one I will treasure for the rest of my life. I’ve been fortunate to travel outside of the country many times, but this was the best combination of fun, adventure, relaxation and romance! Looking back I’m quickly reminded of the subtle details from our time on the island, and at Hermitage Bay, like the creaking sound of our wooden door, how soft the sand was beneath my feet, and the tranquility of showering outside with panoramic views of the bay. This sweet little island left an imprint on my heart, and I grew to love my husband in ways that I never imagined I could.